and come in for a cool relaxing beach experience. 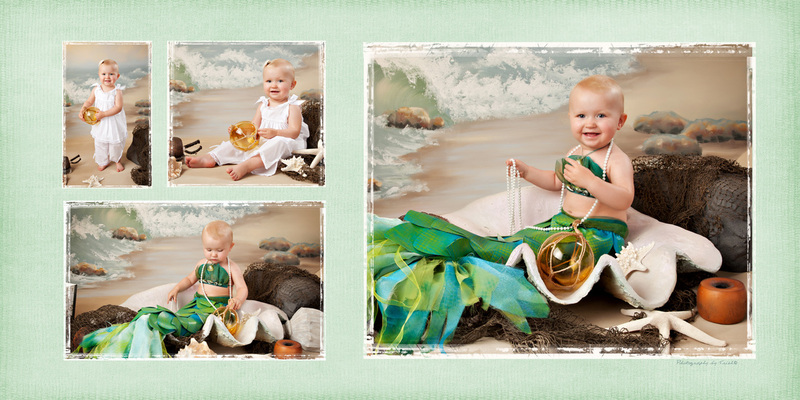 Let your daughter dress up like a mermaid! to bring your own as well. It's a great set to show off your adorable beach wear. Boys look great in tan, denim or white shorts and a simple white shirt. email the studio for session availability.